Films Carla & I Agree Are At Least "Especially Worthwhile"
In a decrepit South American village, four men are hired to transport an urgent nitroglycerine shipment without the equipment that would make it safe. Tom Joad: If there was a law, they was workin' with maybe we could take it, but it ain't the law. They're workin' away our spirits, tryin' to make us cringe and crawl, takin' away our decency. Q: To what does the title "The Grapes of Wrath" refer? Q: Why was Tom in prison for four years? Q: What happened to Noah? 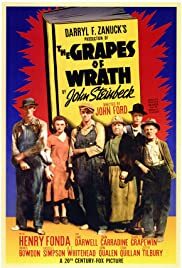 It's difficult on a first viewing of "The Grapes of Wrath" not to be somewhat disappointed with it. So much of Steinbeck's beautiful novel is left out of the film, and it's hard to see his story and characters wedged into the "gee whizz" style of film-making so prevalent at the time. But once you get beyond a comparison of the movie to the book, you begin to realize that John Ford created a beautiful piece of work of his own, and the film inspires a great deal of admiration, and deserves credit for its gutsiness at tackling a story that wouldn't have gone down smoothly with film executives at the time. Of course the most controversial parts of the book are left out (like its final image, for example), but Ford still managed to work around the constraints forced upon him to fashion a hard-biting film. Henry Fonda is perfect casting for Tom Joad--never have his otherworldly eyes been used to greater effect. 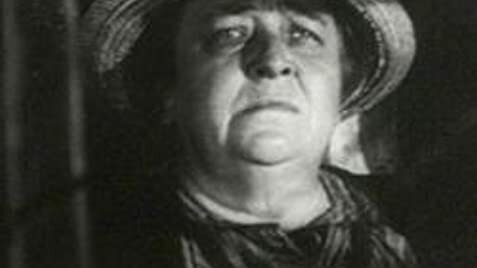 And Jane Darwell is pitch-perfect as Ma Joad--she captures the tough-as-nails dignity that the character has in the novel. The whole movie is lit by expert cinematographer Gregg Toland, who uses shadow and reflection to cast a ghostly pall over everything. Indeed, much of what Ford wasn't able to include in the film as words he communicates instead through images, and isn't that what a good book-to-film adaptation should do? One of those films that feels ahead of its time. 58 of 68 people found this review helpful. Was this review helpful to you?